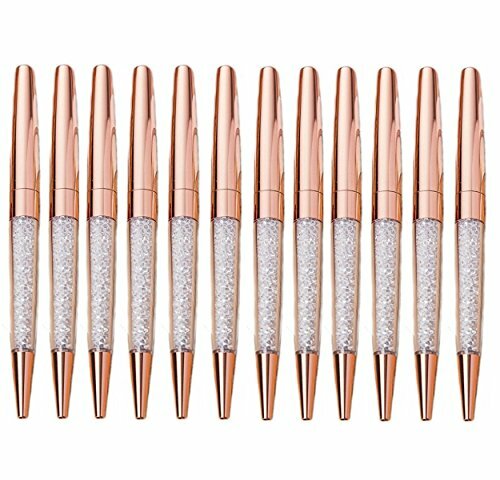 MengRan Rose Gold Pen Diamond Crystal Ballpoint Pens 12pack Copper is currently selling at $19.99, which is its normal price. It has a lowest price of $19.99 and is selling within its usual range. Price volatility is 0.15% (meaning it does not change often), so you might have to wait a while for the price to drop. Until then this is a recommended 'ok deal'. The current deal is also the best price on this item over the last month. 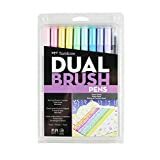 Compare the current price, savings (in dollars & percent) and Buy Ratings for the top Pens that are closely related to MengRan Rose Gold Pen Diamond Crystal Ballpoint Pens 12pack Copper. Here is how MengRan Rose Gold Pen Diamond Crystal Ballpoint Pens 12pack Copper compares with other leading Pens. 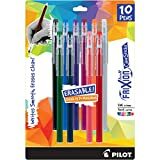 Pack of 12 Pen Size: 13.5cm*1.1cm As gifts Suitable for: Friends / family / children Birthday / graduation / school / date / date Conference gifts / anniversary / promotional ads / employee benefits FeaturesBlack ink. Rose gold color and with white slim crystals in body.The ink flow easy, Writing smooth.Accord with human body engineering design, Stable and comfortable.Standard specifications refill,easy to change.